A consultant hired to develop a new vision for how Maple Ave/Route 123 in Vienna should grow in the future, recently presented early results of their work. The busy street, with narrow brick sidewalks, currently sees few pedestrians or bicyclists. Many shops have turned their backs to the street and have entrances in the rear or off the street. The vision includes taller buildings, parking garages with street-level retail, and better pedestrian and bicycle access. Bike lanes are not in the current "big picture" vision: "Consultants also left bike lanes on Maple Avenue out of its recommendation, instead using side streets to feed cyclists onto the corridor, where bike parking would be made available." While the Maple Ave corridor is relatively narrow, bike lanes would help calm traffic and provide a more human feel to the street. We think they should be part of the plan. If the center turn lane were reduced or eliminated there might be an option for adding bike lanes. 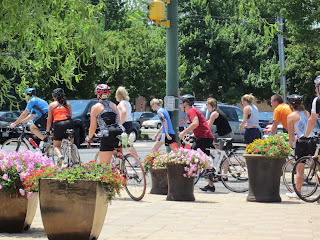 Thousands of cyclists travel through the town on the W&OD Trail and few linger, especially along Maple Ave, because it is not a bike-friendly place. 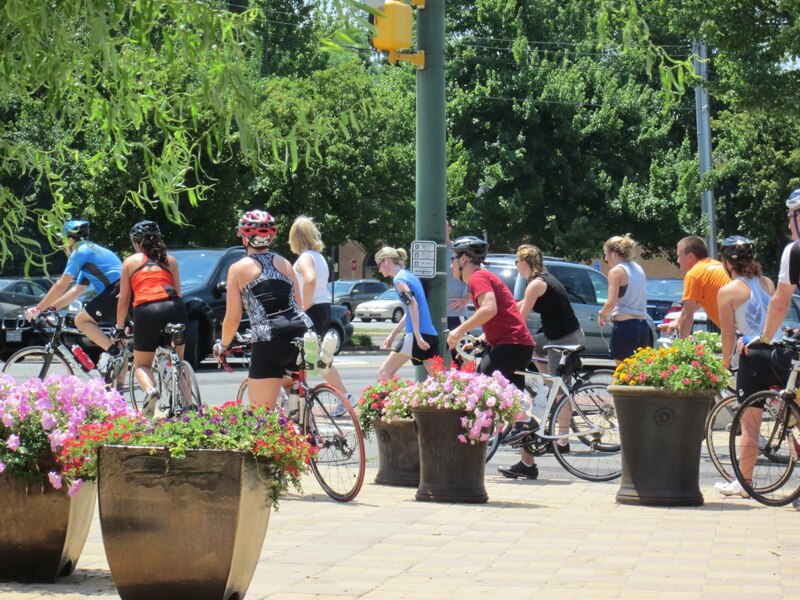 The Town could do much more to attract cyclists to enjoy the many shops and restaurants located near the Trail, including installing better wayfinding signage. Mayor Jane Seeman said she was pleased with the progress in the Vision plan but acknowledged the challenges going forward, including parking and bike friendliness. Lardner/Klein will now go back and develop draft amendments over the summer, which will be followed by public forums.